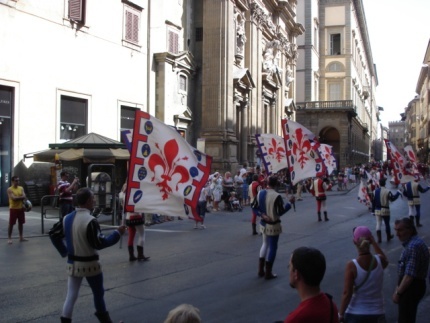 On June 24 each year, Florence comes alive with parades and Florentines dressed in medieval gear to celebrate their patron saint, San Giovanni. 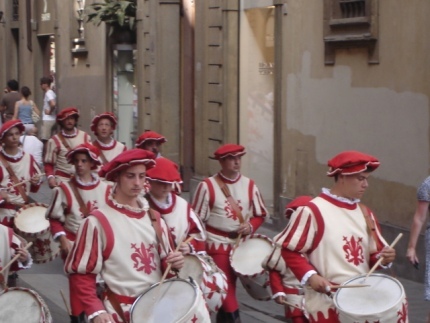 Drums beat and flutes play, as the procession leads to Piazza Santa Croce for the yearly Calcio Storico match. 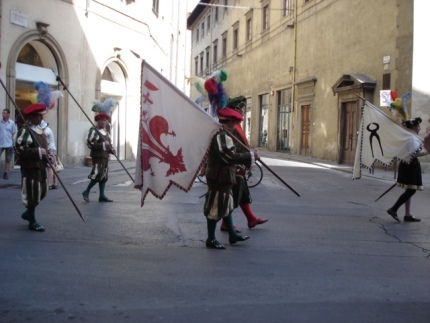 I lived in Florence for many years and often tried to see the match but never made it anywhere near the grand stand. In the evening, fireworks are launched from the Piazzale Michelangelo. Last year and the year before I watched the fireworks from different locations in the city with people very close to my heart.